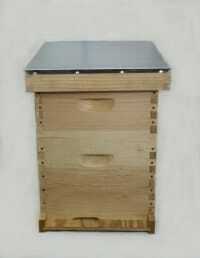 A nuc box is how you raise bees! This is how we grow our nucs. Take two frames of brood and one frame of honey/pollen and get a new queen and you are ready to start growing a new colony. 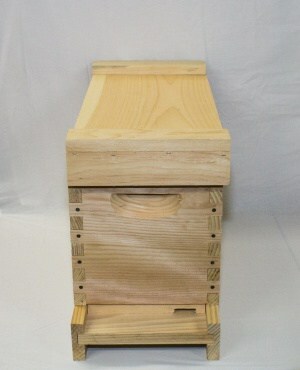 Reduced space allows your bees to defend their new colony and at the same time allowing the honey bees to grow. The bottom board is solid. Uses standard deep frames. The nuc is made of Eastern White Pine from New England and manufactured in Toccoa, GA. This is sold unassembled. Nuc box does not include hammer, glue or 6D nails for unassembled hives.